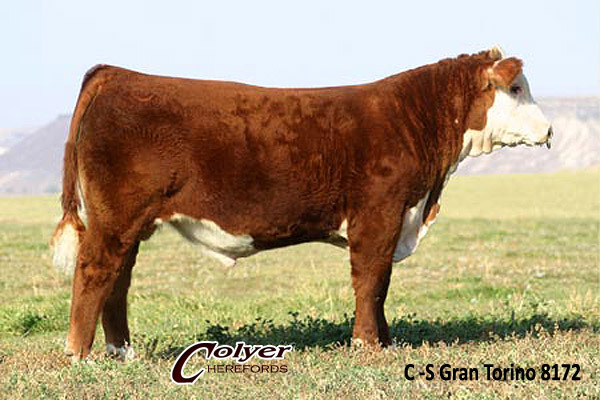 This is a very unique individual that combines numerous traits that are important in today's cattle industry. He is a moderate sized, easy fleshing and full of meat and muscle. GRAN TORINO has a big square hip with tons of muscle expression which makes him very impressive when viewed from behind. 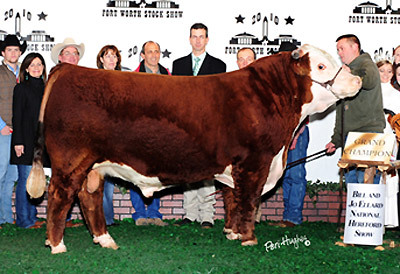 He blends together some of our most popular and proven cow families. 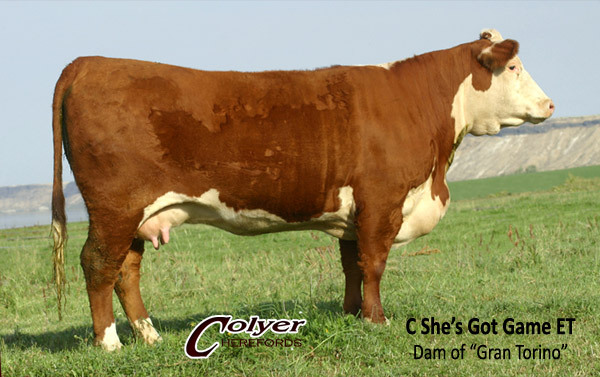 His mother She's Got Game was the high selling female in the 2004 Colyer Hereford Internet Heifer Sale where half interest sold for $26,600 to Malson Herefords in Idaho. His grandmother is "6007" who produced two Denver Champion bulls Game Plan and Game Day. This bull is built around solid genetics and he should breed true to his phenotype. 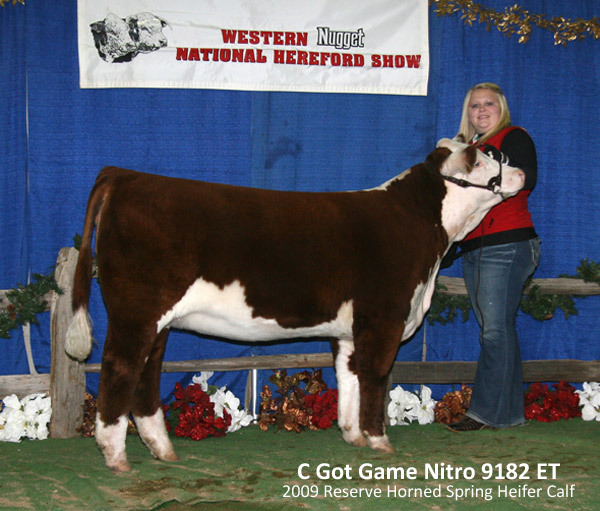 GRAN TORINO's full sister, C Got Game Nitro 9182 ET, was Reserve Spring Horned Heifer Calf at Reno in 2009 and a class winner at Denver in 2010. She is owned by Mallorie Phelps of Grandview, TX who purchased 9182 in our 2009 Intenet Heifer Sale. He is a low birthweight bull that sires moderate framed, deep ribbed, correct cattle with lots of muscle. 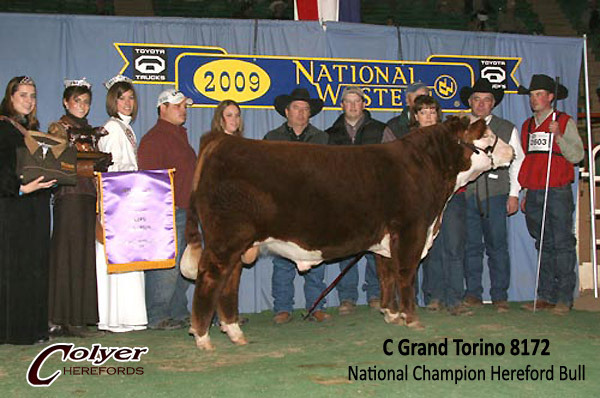 Thank you to Schock Ranch and Williams/Ferguson of Texas for purchasing GRAN TORINO in the 2009 Cowtown Select Hereford Sale. Pictured here as a calf in the Fall of 2008.